Grammy’s House recently received a Halloween donation from the ladies at Century 21 – Black Gold. The women filled 21 Halloween goodie bags for Grammy’s trick-or-treaters. “What a wonderful gesture,” said Celina Bryant, executive director of Grammy’s House. 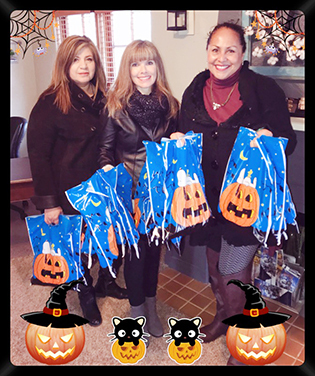 “Now we are all in the spirit and ready for the trick-or-treaters.” Pictured from left are Ana Zamora of Grammy’s House, Kasandra Geeslin of Century 21, and Bryant.